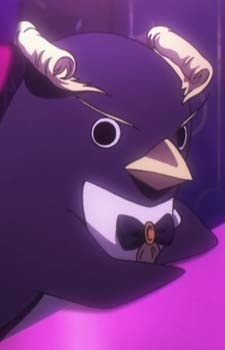 An assistant butler in the Great Tomb of Nazarick. Eclair has an appearance of a rockhopper penguin. He moves in shuffling steps, so he is always carried by another servant when he wants to get around. He was created by Ankoro Mocchi Mochi. His personality settings were set to have the desire to conquer Nazarick as a joke.